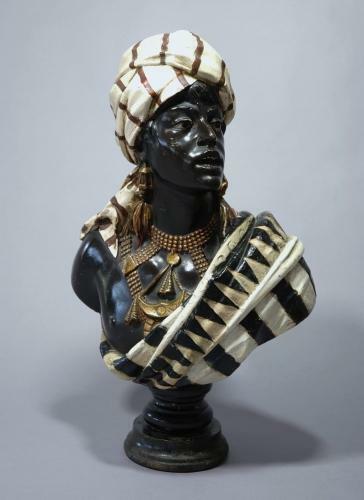 An early 20thc plaster bust of a Nubian figure in traditional dress. He is dressed with a scarf on his head in the style of a turban with drapery & various pieces of jewellery. He is of fine quality & sits is on a turned wooden socle.